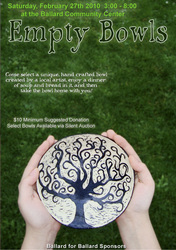 The Empty Bowls fundraiser started more than 20 years ago as the brainchild of a Michigan high school art teacher, John Hartom. 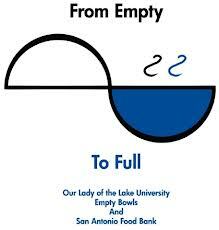 His idea was to get his students involved in organizing a charity event to help them learn that we can each make a difference in the lives of others. 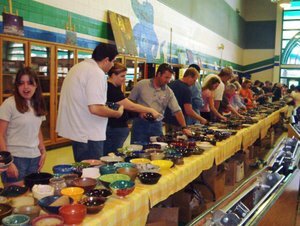 The students made ceramic bowls in their school art classes and then held a fund raising dinner, serving soup in the bowls, and the contributing guests got to take the bowl home with them. 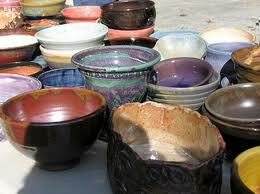 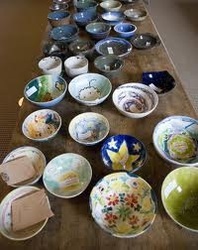 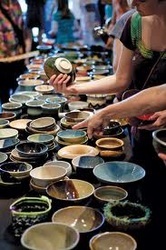 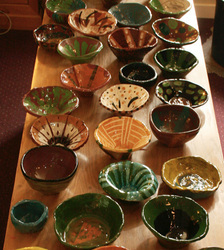 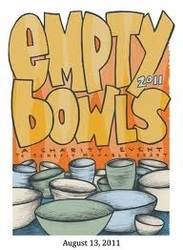 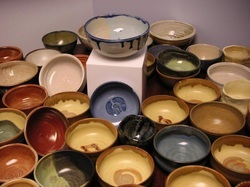 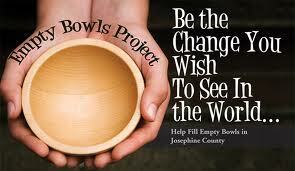 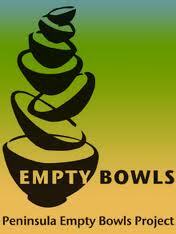 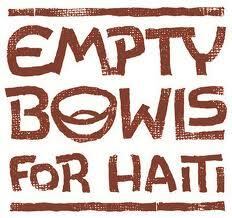 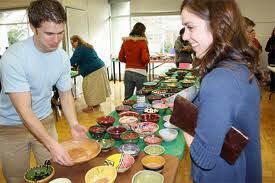 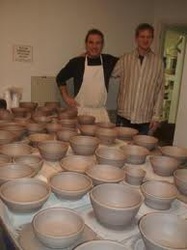 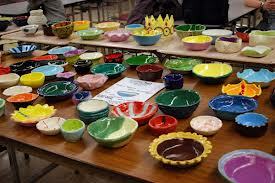 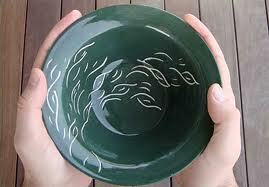 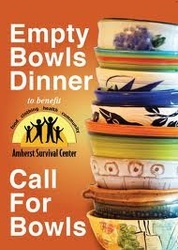 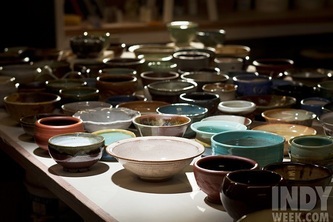 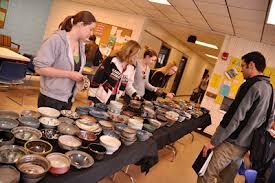 During the next year, Hartom and others developed this idea into "Empty Bowls". Since then, It has since spread to other states, countries and continents as a means of spreading hunger awareness and supporting services for the needy. 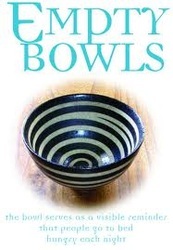 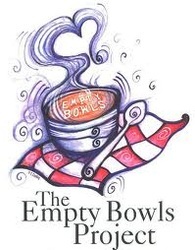 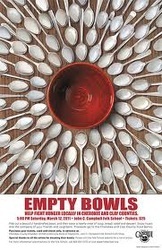 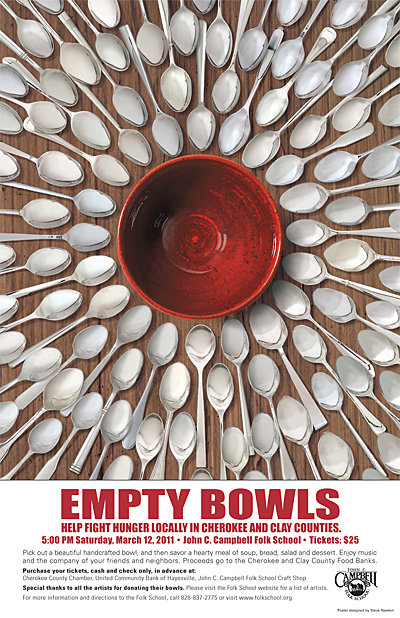 Below are links to websites and articles about a few other Empty Bowls events from around the world, and a small photo album showing posters, artwork, bowls and events put together by others around the world who wanted to help stop the hunger in their own communities.